There is much to be said about the losses of February 2018 due to the leveraged VIX ETF options. Options on VIX are highly complex and technical "vol-on-vol" derivatives. Options on the leveraged VIX ETFs, even trickier, have solid risk and legal disclaimers on top. CBOE nevertheless listed options on these ETFs, distributing them to all investors, including retail. Many unprepared individual investors raked in large losses in February when the VIX gapped up. Broker-dealers did not require additional option margins for these abnormally "violent and volatile" securities. They could now bear some responsibilities in investor losses, which are large. There is much to be said about the Feb. 5th, 2018, losses on the leveraged VIX ETF options. "Don't Touch the Vix! Oops"
The VIX is an implied volatility index. The dynamics and properties of volatilities are significantly different from those of a regular stock/index, a currency or a bond. Moreover, the complicated VIX formula makes it improper for replication, forcing investors to trade futures and options to gain exposure, with a significant liquidity downgrade to standard indices. While quantitative strategies offer better risk-adjusted performance than discretionary investments, the young age and lack of experience of the strategists used to produce this research at large banks generate an experience short-fall. Cost-cutting increases the probabilities of bad investment recommendations. Large broker-dealers already have the capacity to trade quantitative strategies, but they have lost the right and the capital to trade them on a proprietary basis due to the change in regulations and capital requirements. Meanwhile, there is a strong commercial and economic need to provide new structured products with differentiation and investment content. As a result, quantitative/proprietary strategies have been distributed to clients after packaging in structured products. As institutional margins are compressing, the target of structured product distribution is moving away from institutionals and corporates towards UHNW and retail. Volatilities have gone down over the last decade and the "short vol" strategy has been profitable for most of the years since the credit crash. Other volatility strategies have done well too. 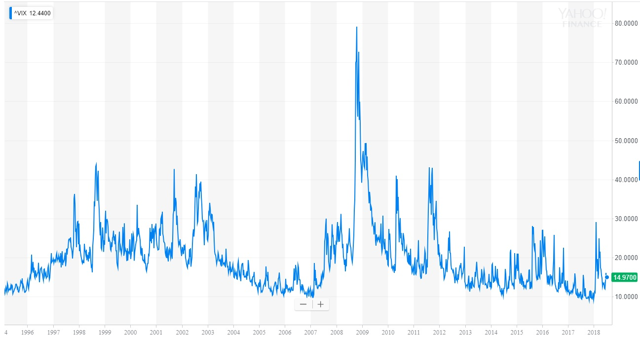 "Volatility as an asset class" has becomes the new paradigm, and volatility derivatives are distributed to retail, despite the technicity required for option trading. There is a whole cottage industry around such products. Benchmark manipulations are easy and frequent. Like any other index, the VIX can be manipulated and probably is. See the academic article of Griffin & Sham, which offers solid arguments. It's not easy to construct bear instruments. Current reverse ETFs are the best approach, but they have drawbacks. They notably need daily re-hedging, for which issuers need to trade twice the variation of their hedging notional. Furthermore, issuers have to buy more of the underlying when it goes up. In case of a significant move up, issuers will have to buy a large quantity of hedge. On a side note, they have a performance drift detrimental to long-term investors. XIV and SXVY are bear notes on the VIX. They have been pushed to retail as part of the answer for quant retailing trends. The issuers nevertheless added some surprisingly solid disclaimers on their prospectus. They actually stated that these products were bound for failure. Like all reverse ETFs, the XIV and SXVY need daily re-hedging on the close. The important S&P and VIX move on February 5th, 2018, meant that issuers had a large notional to buy, too large for the liquidity of the futures market. A liquidity crunch resulted. During the stampede, the two reverse ETFs lost ~90% of their value in the space of a few hours. Retailing such structures was probably not the greatest idea. Since it is very likely that VIX expiries have been manipulated and that poor products have been pushed to a mass audience of retail investors, a significant legal/regulatory blowback can be expected. A stock trends up over time, close to an exponential function. The VIX goes sideways, aka mean-reverts. But its evolution around the mean is not a simple oscillation; it gaps up before decaying exponentially, a process which seems to be happening at multiple timescales. There is a "physical" explanation to this behavior. When bad news frighten the market, option prices are immediately impacted, while it takes much longer for the market to reassure itself and cool down. This process is occurring at random times, with random amplitudes, generating this gap-up-and-decay behavior visible at multiple time frequencies. The dynamic of the VIX, the stochastic model describing its evolution over time, is very different from a regular asset. It is also intertwined with that of the S&P 500. It took a solid decade of research to properly model that dual behavior. A few academic papers are referenced below. If you like tough math, these will make your day. The root cause of these behaviors and the solid research papers needed explaining them is that the VIX is not a physical asset, but a volatility. As a consequence, VIX options actually belong to the category of derivatives called "options on options" or "vol-on-vol" products. Vol-on-vols are considered extremely complicated derivatives, "highly exotic" in trader's lingo. Only the most advanced institutional broker-dealers started trading them initially, and with many risk restrictions. There is no doubt that vol-on-vols are inadequate for amateur traders and speculators, as a layman has virtually no chance of understanding their risks or know their appropriate handling requirements. Worse, vol-on-vol products seem to behave like regular options, bringing a false sense of security, until they don't. Not only those atypical movements are then large and painful, but those "cardiac events" are far from rare. Adding another layer of complexity between the VIX index and its options won't make the math easier, even if there are caveats indicating that the diffusions models are somewhat similar. This article will not add insult to injury by showing even more complicated research papers. Instead, this note looks at some of the legal issues associated with options on leveraged VIX ETFs. In plain language: these ETFs are dangerous. The ETFs should not be held for more than one day. But who reads SEC-required prospectus these days? Certainly not the average investor, even if he should. Professionals are expected to do it, but they usually know enough about the products and have enough good sense to only verify when a potential issue may arise. Most importantly, they have the experience to size their risks according to the limits of their knowledge. The CBOE, a self-regulatory and for-profit entity, is the ultimate market professional. It pays quants to research complicated option VIX models, lawyers to read prospectus and compliance officers to issue and enforce regulations. Like all exchanges, it creates products and rules, so that people can discover their price and trade them. Does it remain appropriate that the CBOE creates options on a reverse VIX ETF and distribute it to all investors, including retail, considering all the issues above? 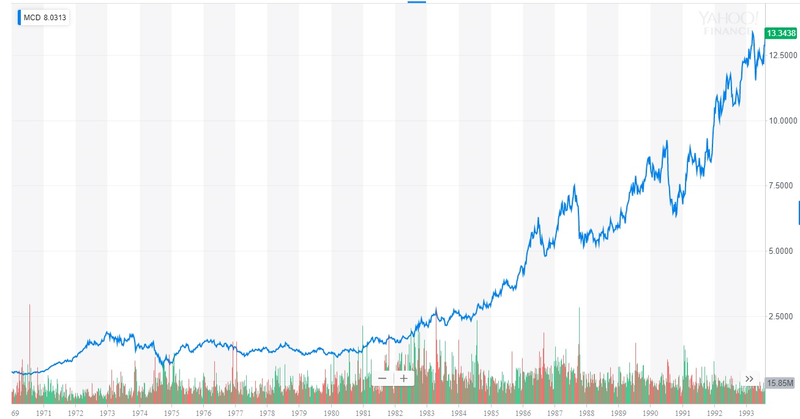 Why can a call option - aka a long-dated investment product - be created on a security, whose issuer specifically states it should not be held for more than one day? How can a broker-dealer treat such derivatives like any other option, letting retail clients gain access to them without additional precautions? Shouldn't there be some additional suitability and/or training requirements? How can a broker dealer authorize such products to be traded on margin? Why are broker-dealers not differentiating the margin requirements? I will let attorneys handle the CBOE question. There are enough class actions in the work for legal teams to assess the duties and liabilities of an exchange on such a matter. 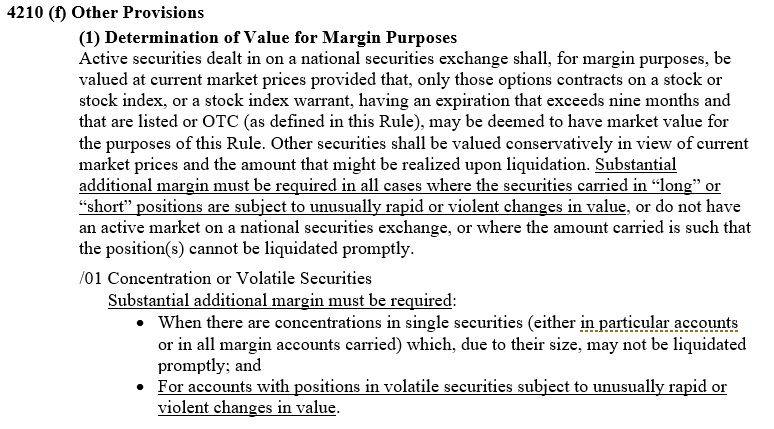 Broker-dealers must request the minimum margin required by FINRA and the onus is on them to impose further margin when the underlying is "volatile or violent". For the VIX, with a large tail risk and where options are highly exotic, good sense would indicate that they should differentiate VIX options from "regular broad-based indices" and require this additional margin. 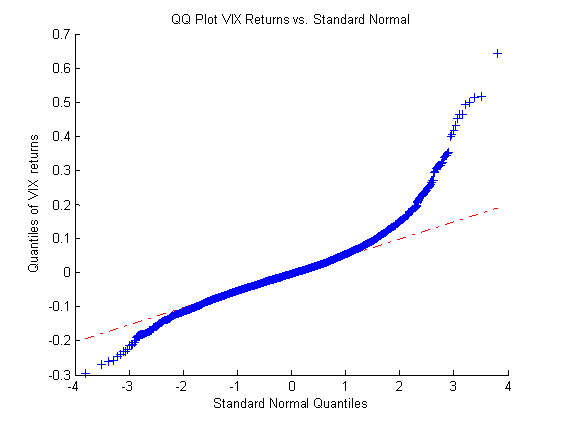 For reverse VIX ETNs, which have catastrophic events each time the VIX gaps up (a frequent occurrence), which are said to be dangerous by its issuers, which are unsuitable for long-term investments, and whose options are even-higher-order exotics, there is an even more clear need for additional margins, if not training requirements or trading restrictions. It is hard to imagine than an individual can sell naked puts on XIV and simply add 20% of the ETF as margin to the premium, when it is known that a reverse ETF can lose 90% of its value overnight. It is nevertheless the general case, and many retail investors have now lost their shirts and their homes on Feb. 5, 2018, as a result. The VIX is not a regular asset, due to its abnormal dynamics and its tendency to large upward movements. Its options are highly exotics and prone to sudden changes in values. Reverse ETFs are described as dangerous and worthless in the long-term. As the VIX index regularly gaps up, reverse ETFs are obliterated at regular intervals. If these reverse VIX ETFs are bound for these large and instant losses, Puts on reverse VIX ETFs are ticking bombs. Selling such puts is the option equivalent of Russian roulette or "passing the grenade." 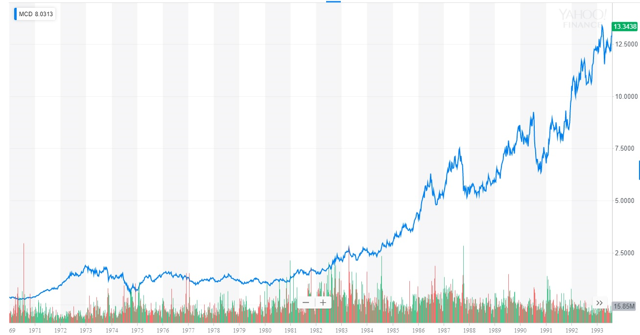 Nevertheless, neither the CBOE nor the broker dealers require additional margins for these products, despite legal obligations from FINRA, nor do they ask for specific warning/training/requirement. There is therefore an argument to be made that these entities bear some responsibility in investors' losses. Notionals of options are usually much larger than the market capitalizations of their underlyings. So, the financial scale of the losses associated with the options on the VIX and the reverse VIX ETFs is much larger than the losses seen on the reverse ETFs themselves on February 5th. There were $800m of XIV traded after hours on February 5th. Since the reverse VIX ETFs went almost to zero, almost all that amount is subject to litigation, a staggering number already. But option notionals are not losses, or are they? As the ETFs almost went to zero, the final intrinsic values of the puts have become equal to their strike price. The losses generated by the move on February 5th is therefore the notional of the puts, at least for the out-of-the-money options (it is rare to trade deep ITM puts due to their funding costs so their volumes are probably much lower). In other words, the entire notional of reverse VIX ETF put options pre-event could be someone's loss/litigation claim. As the calls ended worthless on the other hand, the losses due to the move is actually their premium. The premium of the calls is an indication of the losses and the litigation claims. For the leveraged ETFs (2x, 3x), which have gapped up that day, the puts have ended worthless. For the call, it's the notional which is an indication of the losses. So we should consider the put premium and the call notionals for the long leveraged ETFs as a measure of overall losses/claims. Luckily, not all options are held separated from any other; most portfolios contain several puts and calls at the same time, both long and short. As this cross-exposure reduces the risks and the changes/losses due to the move, only the order of magnitude of put/call notionals/premium are the indication of hidden losses and claims. But if we include options on the VIX index to the options on leveraged VIX ETFs, and remember that the VIX and its derivatives represent more than a third of the CBOE's revenues, the hidden losses and potential claims can be quite substantial.